The voice of the rich and famous (not you, Cheeto Jesus!) is with us no longer. 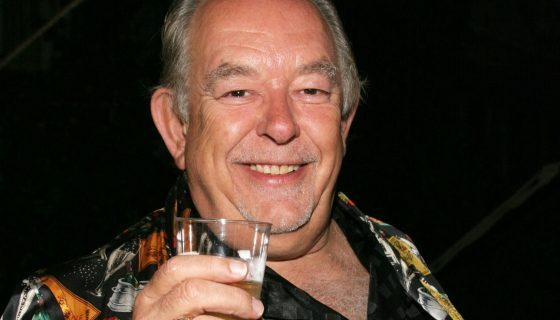 Deadline is reporting that entertainment journalist and host of the original MTV Cribs, 80’s show Lifestyles of the Rich and Famous, Robin Leach has passed away at the age of 76. Leach had been hospitalized since suffering a stroke on Nov. 21t of last year and unfortunately had a second stroke this past Monday (Aug. 20) before passing away last night in Las Vegas. His family took to Twitter to announce the sad news of his passing. Though Leach had been off of TV for more than two decades, he joined the Las Vegas Review-Journal as it’s entertainment columnist in 2016 to bolster it’s celebrity and lifestyle coverage (of course). His family continued to remind everyone that though he is gone he passed away as peacefully as anyone could ask for. Rest in peace Mr. Leach. Now you can get up close and personal with B.I.G. and tell him all about those champagne wishes and car dreams.